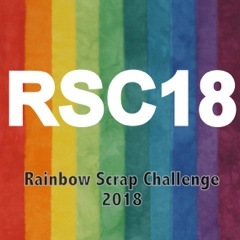 The RSC ( Rainbow Scrap Challenge ) color for October is pink. I didn’t even get around to prepping applique for some pink baskets until mid-month. I did want to show you some pink flowers, first….I am in Southwestern Pa. In the old days, before Climate Change, the height of fall beauty and foliage here was typically the second week of October. I had purchased a mixed seed variety so I am not sure what the flower ( above ) is. I do know that the bee below is visiting a Cleome..
A hero , a Green Beret named Army Sgt. La David Johnson killed in Niger, was returned yesterday to American soil. This is the consequence of the war machine. There’s always money for war and weapons, isn’t there.